Companies increasingly abandon the idea that they can calculate Return on Investment generated by social media. Likes and Fans on Facebook are only stroking the social media manager’s ego – it’s the Shares that count. Here are a few remarkable results from new studies on social media. Advertising costs money, but when advertising pays off by enticing users to buy, it is money well spent. In technical terms, we speak of ROI or Return on Investment, which is the extent to which invested money generates profit. Social media are an excellent platform for advertising, because that’s where the “eyeballs” are that the brands want to reach: every day, more than 500 million tweets are posted on Twitter and there are 4.75 billion “Shares” on Facebook. 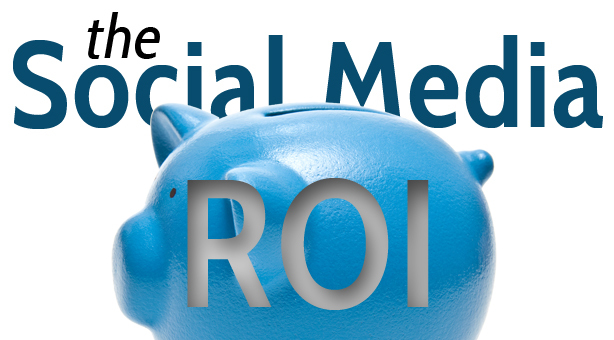 Many companies however made a mistake with social media, because they thought that ROI could be just as easily measured in hard cash as for other media. Yet, social media are not a driving force for transactions, and they are not a selling machine, so it is quite hard to measure direct financial returns. This lack of measurability did not drive brands to cut back on investments though; it is quite the contrary: on average, the top marketers expect to spend 9% of their budget on social media in 2014. By 2018, the expenditure would reach 16%, according to a study conducted by Business Insider. Only, other indicators are used now to measure the effect of efforts undertaken through social media. For instance, from 2010 to 2013, the number of marketers who measured conversions on social media has dropped from 25% to 21%. Moreover, today, they focus on other effects than conversions, like e.g. building an audience, brand awareness (attracting attention to the brand) and customer relations (binding customers, for instance by reacting to their complaints). Facebook is a special case. The study shows that postings by companies or brands are only read by 16% of their “fans” on average, on account of Facebook’s filtering algorithms. But when a user shares a post by a brand, it has a much greater chance to appear in the news feed of his or her friends: between 29% and 35%. Therefore, it is wrong to focus on the number of Fans or Likes when measuring a campaign, because those are “vanity metrics” that only satisfy the media manager’s vanity. It is the number of “Shares” that counts, as the study shows. The results of this study can be linked to another observation. You should indeed know where social media fit into the sales process, which starts with generating leads, then prospects, conversion to customers, and ends with retention. It is mainly in the beginning and end phases that social media play a role. Social media are excellent tools for lead generation, but only for soft leads: the great advantage of social media marketing is a greater exposure. Twitter and Co. are powerful tools to tap new markets and this part of the process can be measured easily by including a special link to a landing page in the post, which allows you to measure the click-through rate. But social media also play their part in the final phase (retention, or keeping customers). They are an excellent tool to respond to possible complaints or dissatisfaction. The beauty of this is that you can very easily turn a “lead” into a customer. Subscription-based e-mail marketing plays a large part in this. You simply have to redirect the prospect to a page where he or she is encouraged to subscribe to your newsletter. The number of e-mail addresses you harvest through social media can be calculated; thus, you can link your efforts through social media to hard leads. As long as there are no real formulas that take into account a multitude of complex indicators to calculate ROI, it is probably better to focus on what you can actually measure, like the performance of your campaigns based on generated leads. And remember: a “Like” is not a sale! Matt Cutts: it is best to keep French-speaking Belgium and France apart!